. The transmitter phenotype of individual neurons correlates with their peripheral targets. Increasing evidence indicates that transmitter phenotype (the mix of transmitters utilized) changes during development because of changes in transmitter synthetic enzymes and transporters. Burn and Rand reported in 1959 that adrenergic nerves contained and released both acetylcholine (ACh) and noradrenaline (NA) . Their work could not be reproduced, but later studies of Furshpan and Patterson showed that sympathetic neurons, cultured from young rat cervical ganglia, produced and released both transmitters [72,73]. Further study of these dual function neurons revealed unexpected plasticity of sympathetic transmitter phenotype . Sympathetic neurons are adrenergic at birth. Most remain adrenergic, but those innervating sweat glands become cholinergic; injury to the cell bodies or treatment with various cytokines such as leukemia inhibitory factor causes many to assume a cholinergic phenotype . We are just beginning to understand the molecular determinants of transmitter phenotype . Knowing that some adult sympathetic neurons are cholinergic, we can reconsider the failed Burn and Rand theory and suspect that it may have been partially valid [77,78].
. By 1979, the new journal Trends in Neurosciences asked "Is Dale's principle valid?" Burnstock noted that both American workers  and Day and Rand from Oxford  had suggested corelease of ACh with another transmitter (oxytocin, NA) in the 1950s. Both groups thought that acetylcholine might facilitate transmitter release rather than acting at postsynaptic receptors. Pamela Holton of St. Mary's Hospital Medical School in London had reported in 1959 that ATP was liberated from rabbit sensory nerves by electrical stimulation . She suggested two roles for ATP in nerves, as an energy source and also as a signal, but probably not the only signal, released from certain nerves. Burnstock and colleagues were able to demonstrate ATP release from guinea pig enteric nerves in the 1970s [86,87]. ATP and other purines are difficult to study because they are metabolically labile and found in all tissues. In general, purines may have presynaptic [typically inhibitory] effects or postsynaptic [mostly excitatory] effects [88,89]. ATP is known to mediate fast synaptic transmission at certain CNS  and peripheral synapses [91,92]. ATP, noradrenaline [NA] and neuropeptide Y [NPY] are important transmitters in perivascular sympathetic nerves; ATP acts at postjunctional P2X receptors to evoke vascular smooth muscle contraction . It is a neurotransmitter in perivascular non-adrenergic non-cholinergic nerves. ATP is rapidly metabolized to adenosine which can also regulate the release of neurotransmitters via inhibitory prejunctional A1 adenosine receptors. The relative contributions of ATP and NA as functional co-transmitters varies with species, age, type and size of blood vessel, frequency and duration of stimulation, the tone/pressure of the blood vessel, and in disease. ATP produces excitatory junctional potentials (EJPs) in response to single impulses in sympathetic nerves, and the initial twitch responses of the smooth muscle; NA produces the longer-lasting tonic contractions. The proportions of ATP to NA vary between different sympathetic nerves; they also change during development and in some pathological conditions, including hypertension . Release of the two co-transmitters appears to involve independent mechanisms and is frequency dependent; they may be stored in separate vesicles but this isn't proven . Figure 8. This figure from Smith  shows the relative contributions of a-adrenergic and purinergic receptors to the pressure response of the rabbit cutaneous resistance artery. Panel A shows that the pressor response increased with stimulation frequency, and that the response was progressively diminished by the a-adrenergic receptor blocker prazosin. (light bars control, dark bars with prazosin). Panel B compares the effects of purinergic blockade with a, P-methylene ATP to those of increasing doses of prazosin. The purinergic blocker had a large effect at 4 Hz stimulation, while the reduction due to maximal doses of prazosin was much greater at 64 Hz, shown by the difference between the left most and right most bars for frequencies 8 - 64 Hz in panel B. Modified and reproduced with permission from Oxford University press, reference . Adenosine is an important neuromodulator in its own right. It generally modulates ongoing synaptic transmission rather than carrying direct messages. Adenosine modulation is most often seen in excitatory synapses . The best known adenosine CNS effects operate through inhibitory Ai receptors, which are one of the most abundant GCPRs in the brain . Ai receptors are mainly found in synapses; adenosine receptor heteromers regulate striatal glutamatergic input  and are targets for caffeine actions . Presynaptic Ai receptors inhibit glutamate release [as well as that of other neurotransmitters]; post-synaptically they inhibit calcium influx through voltage-sensitive calcium channels and NMDA receptors and also inhibit potassium currents, leading to membrane hyperpolarization, as reviewed in . Activation of A1 receptors may be neuroprotective , probably because of extra-synaptic effects, in particular their ability to decrease brain metabolism at times of stress . Human astrocytes are larger and more complex than rodent astrocytes . Human neurons are probably more dependent on astrocytic signals and support than rodent or invertebrate neurons. Purines released from astrocytes appear to be important signals in complex human glioneural networks [103,104]. Substance P (for powder) was discovered in 1931 by von Euler and Gaddum as they surveyed horse tissues for acetylcholine following the 1929 report of Dale and Dudley who found histamine and acetylcholine in the spleens of horses and oxen [105,106]. Von Euler and Gaddum found something that was neither acetylcholine nor histamine and that caused vasodilatation and intestinal contraction. It was most abundant in intestine and brain. Hellauer and Umrath reported in 1948 that dorsal roots contained much more vasodilator activity than spinal ventral roots . Angelucci demonstrated the release of something like Substance P [SP] from frog spinal cord by cutaneous stimuli. . Many laboratories gathered evidence supporting a neurotransmitter role for SP during the 1970s [109-115]. Otsuka and Konishi showed that SP evoked slow spinal epsps . Calcium-dependent release of spinal Substance P was shown and SP - like immunoreactivity found in synaptosomes and dense core vesicles . The association of Substance P with spinal afferents suggested by Hellauer, Umrath and Angelucci was a reproducible finding. Jessell and Iversen suggested that Substance P might be the factor or a factor that opened the hypothetical "pain gate" in the dorsal horn of the spinal cord previously postulated by Melzack and Wall [113,117]. Their paper suggested central roles for two peptides at the "pain gate"- the old peptide, SP, known for decades, as pain messenger, and the new enkephalin peptides, which inhibited secretion of the pain messenger and partly explained the effects of opioid analgesia. The "pain gate" and pain processing seem much more complex today, but SP and its neurokinin 1 receptor in the dorsal horn of the spinal cord retain a central role [118,119]. 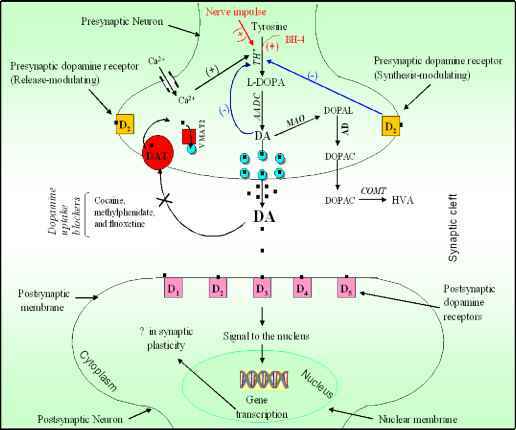 Substance P has analgesic effects in supraspinal regions; neurokinin 1 receptors are prominent in brain regions that process nociceptive information, such as the periaqueductal gray . Pain management remains a complex, partly solved problem, for modern medicine. Neuropeptide Y (NPY) has a shorter story, because it was discovered in 1982. However, it may be the most abundant neuropeptide in mammalian brain  and it has a strong association with NA, stress and the sympathetic nervous system. Tatemoto and colleagues at Karolinska Institute isolated large quantities of a peptide amide from pig brain . This was neuropeptide Y, a 36 amino acid peptide that is sometimes called neuropeptide tyrosine. Hokfelt and co-workers soon demonstrated NPY within peripheral and medullary catecholamine neurons [123,124]. The highest concentration of NPY in the rat brain was found in the paraventricular nuclei of the hypothalamus . Further study showed that NPY was often found in sympathetic neurons and was stored in large dense core vesicles. Mild sympathetic stimulation released NA but little NPY. More severe or sustained stimulation released both NA and NPY . NPY was found to be a very potent appetite stimulant in 1984 . 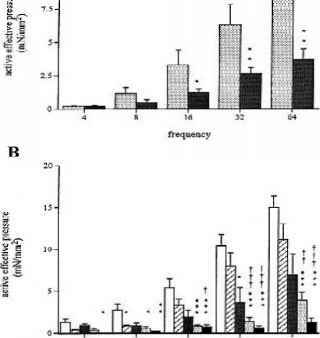 Elevations in hypothalamic NPY were reported after food deprivation and in genetically obese rodents. This stimulated a vigorous search for NPY antagonists for therapeutic use against obesity and metabolic syndrome. However, genetic deletions of the NPY gene surprised everyone- there was no consistent effect on weight and feeding behavior . Today, we recognize multiple transmitters and factors that influence eating. NPY is still an important player. It acts through six different receptors, Y1-Y6; our hopes for simple solutions to the modern epidemics of obesity and addiction have been chastened [129-131]. I can't go into all the complex and interesting NPY effects here. The roles of adenosine in pain processing  and purines in obesity and eating  underline the complexity of CNS function. Figure 9 reminds us how many different peptide co-transmitters are found in the sympathetic nervous system . Figure 9. This figure is based on references [134,135,136] and shows that different populations of neurons with different peptide cotransmitters occupy different spaces within the cat lumbar sympathetic ganglion, and project to different regions and structures of the hind paw. Recent studies of Samano et al suggest that peptides and cholinergic transmission machinery may occupy different terminals of the same neuron . The peptide abbreviations may be found in the List of Abbreviations. GABA and glycine were the first fast acting classical neurotransmitters proven to be co-released from the mammalian CNS. This was initially shown in the neonatal rat spinal cord . 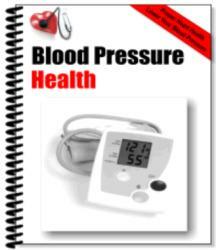 Later studies showed that the proportion of GABA and glycine released was a function of developmental age . The demonstration that some GABA/glycine neurons in the medial nucleus of the trapezoid body [MTNB] transiently released glutamate at certain developmental stages was very surprising . The release of both fast acting excitatory and inhibitory transmitters seemed paradoxical. Further study showed that this transient phenomenon, the first recorded glutamate release at a GABA/glycine synapse, coincided with major developmental changes. The synapses changed from depolarizing to hyperpolarizing because of developmental changes in chloride transporters , the transmitter phenotype of the MNTB neurons changed from predominantly GABAergic to mostly glycinergic and numerous synapses were eliminated . We also briefly review recently discovered glutamate effects at the cholinergic neuromuscular junction. Claude Bernard studied the action of curare, which was used by South American peoples to paralyze prey. Dale and other early pharmacologists established the neuromuscular junction as a nicotinic cholinergic synapse . However, the neuromuscular junction [NMJ] contains all the apparatus for glutamatergic signaling: glutamate transporters (GLAST and GLT) , vesicular glutamate transporter , ionotropic and metabotropic  glutamate receptors and glutamate itself . This glutamatergic machinery is functional and modulates synaptic transmission . Motor neurons also release glutamate at their central synapses . Both NMDA and AMPA receptors are found post-synaptically at the mouse NMJ. They are not associated with the acetylcholine receptor, and are colocalized with DIg and with Kir2 potassium channels . What is Glutamate's Function at the Neuromuscular Junction? First, recall that many invertebrates have dual innervation of the neuromuscular junction by inhibitory and excitatory neurons. Next consider the effects of deletions of AMPA and NMDA receptors on NMJ function. Mutations of AMPA and NMDA receptor subunits produce weakness or death, but haven't been studied in detail . There is a cost to producing and precisely targeting these glutamatergic synaptic elements; assuming that they convey functional benefit, but the nature of that benefit is unknown. The general utility of cotransmission remains somewhat ambiguous, in spite of its ubiquity. Authorities often suggest that a co-transmitter may act presynaptically to decrease the release of the primary transmitter, while acting postsynaptically at the same time to increase the efficacy or effect of the primary transmitter . 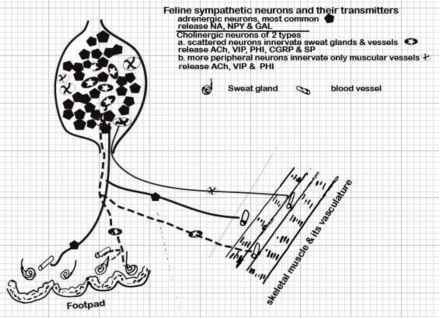 Trudeau and Gutierrez have reviewed the common coexistence of two primary neurotransmitters in the same mammalian neuron, often glutamate and a monoamine, and the ability of this transmitter phenotype to change with injury or disease, even in adult life .